"I hadn't even read about this place anywhere in my research prior to travelling and am glad the hotel recommended it as part of a day tour in the area. There is a small temple, but you can also walk around to the right of it on a path that takes you to another shrine and beyond that, to the river where the Tam Coc boats travel. From the river bank, you can see the statues atop the mua caves. This is the area you see from the top of the Mua caves. It's a reverse perspective and a nice little walk among the trees. There's no entrance fee." Thai Vi Tempel - is very popular with tourists, thanks to its long history and beautiful environment. The temple was built by King Tran Thai Tong in 1258 after the first and glorious victory against the invading Chinese troops. Historical sources say that the king, who was 41 years old, after the victory handed over power to his son. He lived in a town nearby. He stopped at a small village at the foot of a mountain. 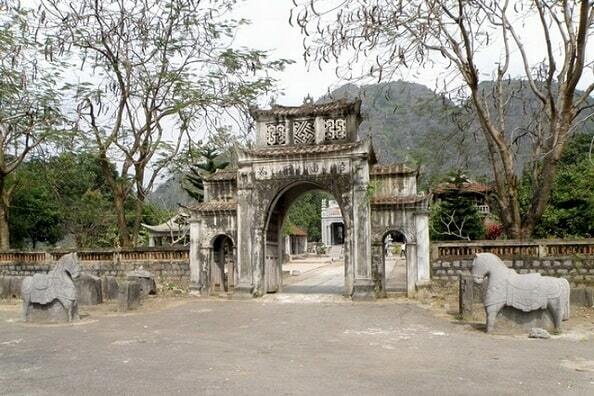 The village overlooked the Ngo Dong River and the king built a small temple near the Van Lam cave. The local people worshiped in the temple Buddha and three saints. The king meditated daily and helped the villagers build a prosperous life. 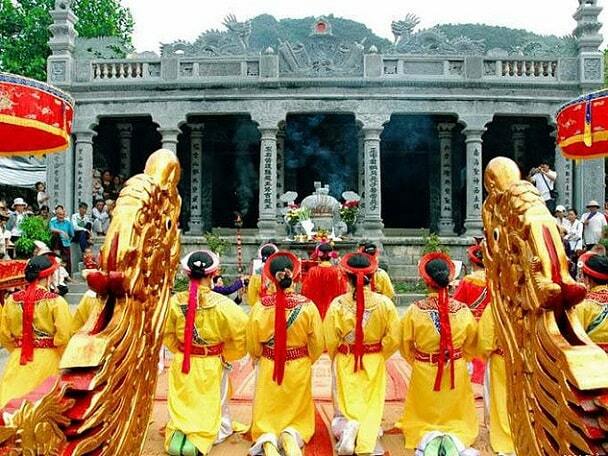 The temple became well known during the second battle against the Chinese invaders in 1285. Although the temple is located one kilometer away from the busy and noisy Tam Coc, tourists will find the Thai Vi Temple unique and peaceful. The temple is situated on a small hill, surrounded by nine large mountains which creates a spectacular setting. Locals compare these mountains with nine dragons, fighting for a single pearl and the pearl is the temple. There were several renovations at the temple and the last one was in 2016. This was sponsored by Buddhists who live in Hanoi. The temple worships King Tran Thai Tong, his wife and son. Until now it attracts thousands of tourists each month. The number of visitors doubled, when the locals organize the festival of Thai Vi Temple. This usually takes place from March 14 to 17 of the lunar calendar. This festival has a ceremonial and recreational character. At the ceremonial part, the king is worshiped, who founded the temple. This occurs with many incense and speeches instead. The recreation area comes with lion dance, dragon dance, rowing, chess and wrestling instead. 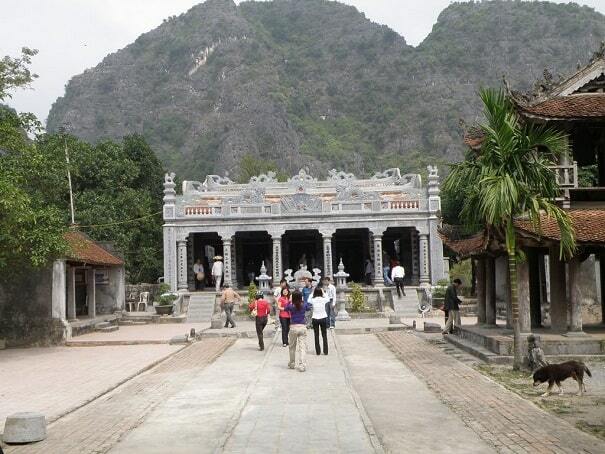 "Thai Vi temple is set in the stunning scenery of the karst mountains, when you follow the road past the Tacm Coc pier toward the Ninh Hai commune. The small temple has been built in the first half of 14th century and has very delicate carvings on the pillars from that era. There are two small ponds with lotus flowers once you enter through the main gate, the main pathway leads you to the temple with a nicely decorated altar inside. The temple is not on the main tourist itineraries and it was peaceful visit as we were the only ones there. We are glad we visited it and wished to have more time to spend here."